Truth: It doesn’t work. If it did – not temporarily but permanently – weight loss would not be a 148-billion-dollar industry. Deprivation is defined as not having the things that are necessary for a pleasant life. When we talk about deprivation diets, it can imply different approaches like calorie deprivation, not eating enough, starving yourself by ignoring hunger signs, not eating something you thoroughly enjoy or eating unpalatable ‘health’ food because someone told you so! After dealing with numerous clients for years, this is how I think any extreme diet works. What happens to your body when you go on a deprivation diet? Umpteen number of times my clients mentioned to me: “I just could not follow that diet as I was hungry all the time”. Our immediate reaction to the word hunger is that it’s a bad thing. Hunger is the interaction between your digestive tract, endocrine system and brain to signal you to fuel yourself. Being hungry is a sign of a healthy body process. When you ignore hunger for a long time, the symptoms intensify making you vulnerable to uncontrolled eating. Ignoring hunger for a long time makes you irritable and angry, leaving you ‘hangry’. Deprivation diets cause a state of ignorance of hunger and propagates starvation. 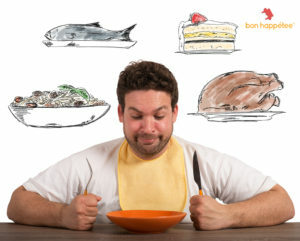 It’s all hunky-dory till you have the will-power to sustain, but once that barrier is broken, you surrender yourself to an uncontrollable bout of mindless food feasting. When we see and hear our favorite celebrity slim down in the time it takes us to eat a muffin, no wonder we are often tempted to give it a shot. We cut down on calories, skip meals and fight our mid-meal cravings only to make it worse. On a deprivation diet, your body goes on to the ‘starvation mode’ that adapts itself to make do with the nutrients available from the food ingested. It also starts securing the fat cells and use up muscle mass in panic mode to provide your body with the essentials. This in turn slows down your metabolism and keeps you away from losing weight. Bye, bye muscle. People on deprivation diets are absolutely no fun. Deprivation diets leave you tired, weak, irritable, hungry and low on overall energy. 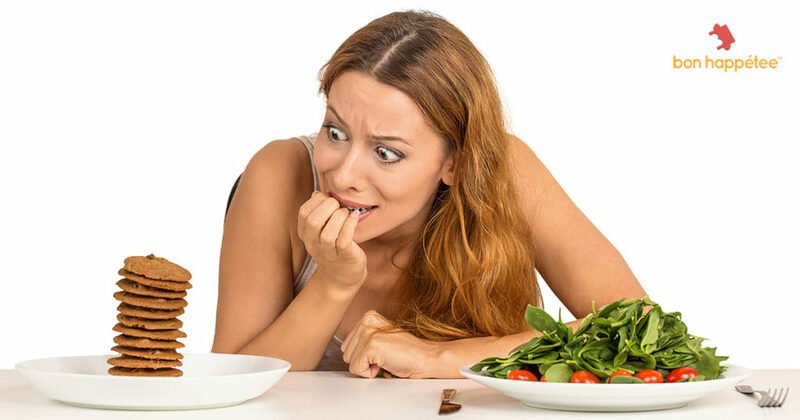 The pressure of being on a diet and the whirlwind of emotions involved can make you lose your mind. You are already at war with your brain and your heart about not eating your favorite dessert and dealing with the symptoms could make you feel really bogged down. 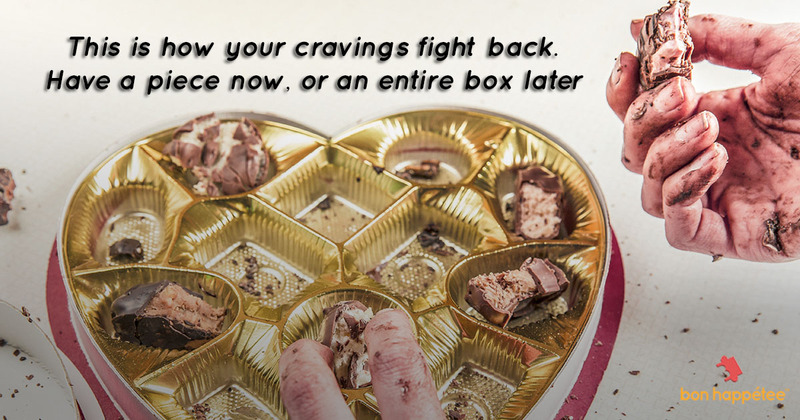 Sooner or later, you end up giving into your cravings and eat to feed your emotions. Even if you are one of the lucky ones to have benefited by the gruesome deprivation diet, brace yourself: the worst is yet to come! A study indicates that dieting itself, independent of genetics, is significantly associated with accelerated weight gain and increased risk of becoming overweight. The researchers concluded, “It is now well established that the more people engage in dieting, the more they gain weight in the long-term”. How to step off the pendulum between deprivation and guilt? Do not succumb to all-or-nothing mentality when dieting. Everyone has a different body clock and functioning. If someone you know is eating only 3-meals a day to drop some extra kilos, it is not necessary that you need the same. Observe your body clock and give it consistent energy and nutrients it needs. Eat throughout the day and practice mindful eating. 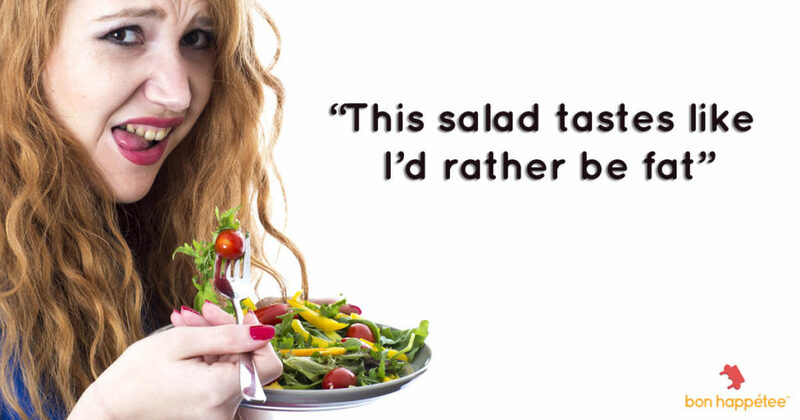 Do not badger yourself into eating a salad for all your meals. Practice healthy eating, indulge occasionally (and enjoy it! ), keep your portions under control and practice positivity during difficult phases. You do not have to sulk and eat something unpalatable that takes the joy out of your meal times. Live your life between meals! Do not make your life all about ‘dieting’. Do not let your food choices take over your life. Try to eat well and move on! Deprivation diets do not create sustainable change. There are various studies that can prove that no diet or meal plan can ‘know’ your body and its functions. Only you know your body and its thoughts, processes and emotions. Deprivation diets interfere with intuitive eating and can cause delirious patterns that can be difficult to break out from. Akansha is the Founder and Consultant at Beyond the Weighing Scale. With a wide range of expertise and skills, she is adept to speak about nutrition, health, lifestyle management and physical activity. She is a popular food columnist, a passionate foodie, a health enthusiast, an avid traveller and a happy yogi.